Kramer Tree Specialists is a family-owned and operated tree care company. We have been providing our clients tree care services since 1974. We focus on utilizing sustainable and innovative strategies to maintain and manage our client’s trees. We are Accredited tree care firm through the Tree Care Industry Association and have over 20 ISA Certified Arborists on staff and one Board Certified Master Arborist. We offer services in pruning, tree removals, mulch products, insect/disease diagnostics and treatment, consultation services, cable bracing, pre-construction tree preservation, and holiday lighting designs. If you have a dying or storm damaged tree in your yard, don't delay. 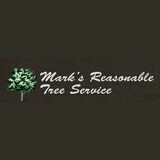 Remove that dangerous tree by calling the experts at Marks Reasonable Tree Service. Tree removal services to routine tree trimming. Oakleaf Treeworks serves customers in the North Shore of Chicago. Santiago Soto founded the company on the principle of respect for nature and pride in a job well done. We take a special satisfaction in being attentive to the needs of our customers and have the eco-sensibilities necessary to balance a tree’s life with that of human safety and aesthetics. We always leave our work area free of debris and are not finished until our customers are completely satisfied. Crowley Tree Experts Inc. can handle any type of tree project you throw at us. From tree removal and tree trimming to fertilizing and root feeding, we have the equipment and experience to get the job done. Our locally-owned business has been serving the Cary, IL area since 1987. Find out how we gained our reputation for professionalism and prompt service by calling us today! We can come to your home or business and give you an estimate on the job. 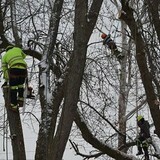 JPC Tree Care provides excellent tree care services to the Chicago suburbs. We are committed to adding value to your property by providing the finest arboriculture services available in the Chicago area. We are a family business small enough to provide personalized service and big enough to handle the largest job needs in residential and commercial property management. We are a staunch advocate for, and defender of, the urban forest in our service area. We are also a company that will provide you with an honest estimate of your property’s needs and deliver the finest services for a reasonable price. It is our goal to exceed your expectations when you seek our services. If we make a mistake, we will make it right as you define the solution. If we cannot meet your needs, we will let you know up front and make a recommendation so you can choose a more appropriate firm. Our crew members are skilled and committed to adding value to your property. 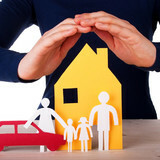 All of our employees are fully insured, legal residents of Illinois. Let’s Talk Trees! Planned Forest Solutions LLC is an urban tree planning and consulting firm based in Chicago, Illinois. We assist municipalities, construction firms, homeowners and others in managing the urban forest. We work throughout the Midwest, primarily in Illinois, Wisconsin, Indiana, Michigan, Minnesota and Iowa. We are a high quality tree service providing exceptional customer service, skilled professionals and competitive pricing. We leave your yard looking better than when we started. We are family owned and locally operated. We are a professional tree service located in Evanston, Illinois and serving the greater Chicago IL area. Our ISA certified arborists and certified safety tree care professionals (CTSP) on staff have diversified tree service industry experience, and are capable of completing the most difficult jobs safely. We are passionate about what we do and approach each project with the creativity and energy to bring it to life. We recognize that no tree service project is the same and every customer has their own individual goals and ideas when it comes to the development and care of their landscape. At Progressive Tree Service we take pride in our work and ability to effectively remove and provide care for the trees on your property, and we guarantee that we will take the time to understand your needs and work with you to make your vision a reality. We are a Full Service Tree Company serving Aurora, Naperville, Batavia, Geneva and the surrounding areas for over 30 years. We have been locally owned and operated by the Xinos family ever since we began business back in 1981. (We are the Tree Company formerly located at 1500 Mountain St). The owner Bill Xinos is always on site supervising his crew, who have over 50 years combined experience. We own all of the necessary equipment to handle any size job in a professional and timely manner – we have Bucket Trucks, Cranes, Chipper Trucks, Stump Grinders etc ready and available to work for you. We work as fast as possible and can handle all of your tree service needs in one visit. We are Licensed, Bonded and Insured (certificate of insurance available upon request). With more than 50 years of combined experience, our tree service company is able to provide reliable, safe and efficient solutions. Professional tree service performed by a highly trained team can help you create a healthy, beautiful and safe outdoor living environment. Aurora Tree Services is licensed and bonded. Your Downers Grove, IL tree service professional or arborist might work in conjunction with another landscape professional to create a seamless landscape design. Here are some related professionals and vendors to complement the work of tree services: Landscape Contractors, Landscape Architects & Landscape Designers, Garden & Landscape Supplies. Find tree service professionals on Houzz. Look in the Professionals section under Downers Grove, IL tree services. You can look through portfolios and read reviews to see what past tree care clients have to say.